A quick review of our first gathering and how you can join the next one. A month ago we started a little experiment, born out of the observation that we should all read a good book again and that reading is more fun when you have others to discuss the text with afterwards. We’re starting a book club! Read “The Dispossessed” with us! So we met on Sept. 13 after work, cracked open a beer and reflected on “The Dispossessed” in a group of four. That sounds meager, but considering that even meeting a friend for coffee needs a budget for project management these days, I was rather happy not to be alone. Reading a book is a pretty large time commitment after all. A lively discussion unfolded, comparing the German translation to the English original, talking about the political systems described in the book and discovering that both ends of the spectrum from “I loved it” to “I’d recommend this to nobody” were present. In short: we had a great time. Towards the end of the evening we had to decide on the next book to read … I had brought a couple of suggestions from my stack at home, but in the end we realized most of us hadn’t read anything from Murakami yet. 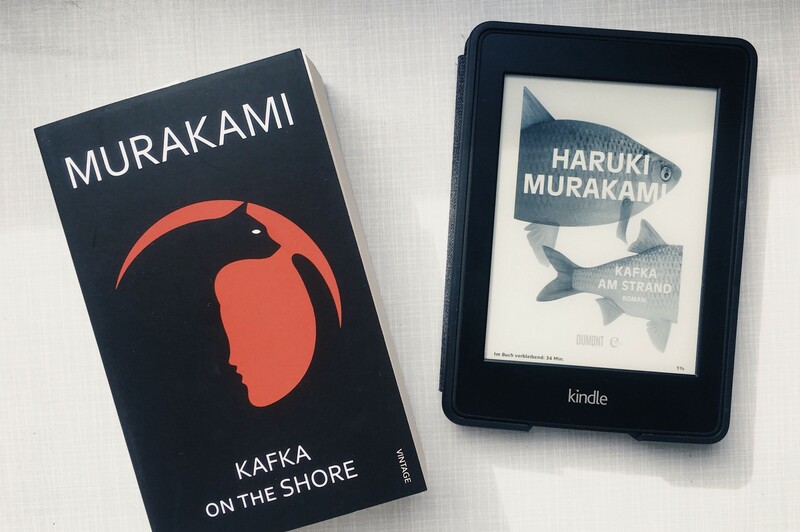 Our choice fell on “Kafka on the shore” / “Kafka am Strand” for no particular reason, except that the title was vaguely familiar. What we didn’t realize at the time was that this beast is 600 pages strong … which is why we’re giving us and everyone else a little more time. Next gathering: Tuesday November 14th, 7pm in our office at Oranienstraße 6, 10997 Berlin! Again, everyone is free to join, with drinks on us. 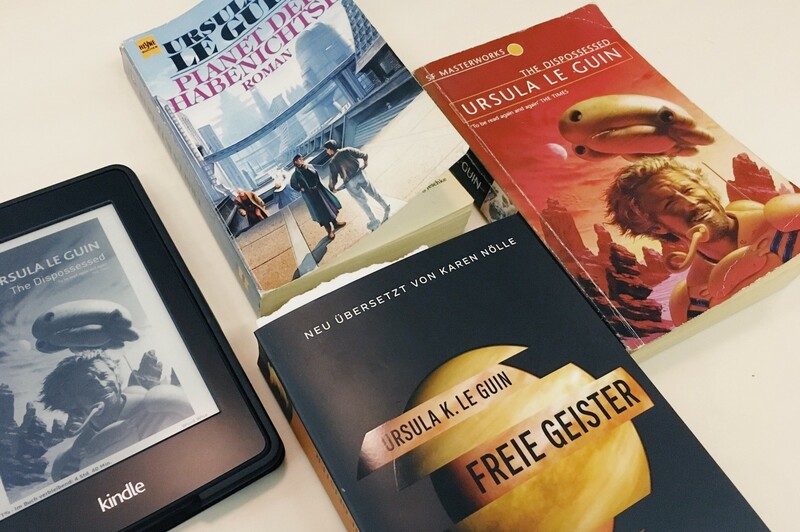 No matter if you prefer the audio book, read the German, English or Japanese version, or give up after 100 pages … your impressions and thoughts are most welcome and we’d be happy if a couple of new people joined us!